Welcome to Hewitt Country Meats and Snowblowing Services. 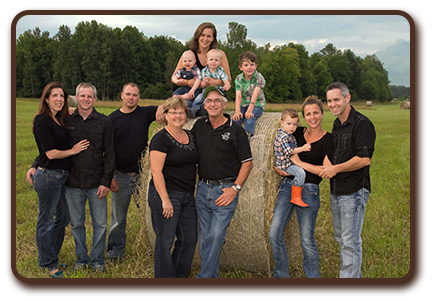 After many years of success, the Hewitt family continue to enjoy providing quality meats, mouth- watering beef jerky, outstanding customer service and enjoy growing quality corn, soy beans and beef for Ontario families. 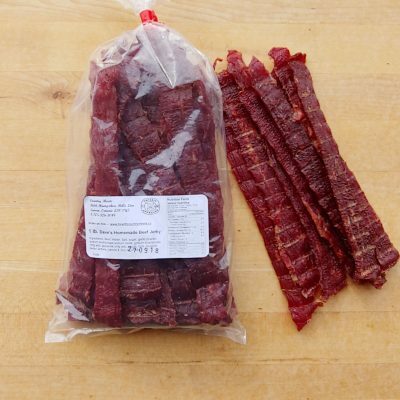 Top quality Beef, Pork and Chicken are available at their Butcher Shop along with Dave’s Homemade Beef Jerky. It’s made with a secret Hewitt family recipe and can be found across Ontario. Enjoying our products has never been so simple – you can order from here on our site and have it delivered right to your home! 1974 – Dave returned to his family’s 3rd generation farm in 1974 after graduating from the University of Guelph. 1976 – In 1976 he married Estelle, and together with the help of their three children (Kevin, Derek, and Krystal) and their staff, they have grown their family business in several areas. These include their beef cattle, corn, soybeans, and hay for both cattle feed and cash crop, a retail and wholesale meat store, and meat processing shop, and a custom snowblowing operation for the snowy winter months. Their children and spouses have helped to continue this success by contributing fresh new ideas and marketing Hewitt products and services. 1985 – Dave and Estelle believed there would be a demand for locally produced meat products. They decided it best to add a wholesale and retail meat shop right there conveniently on the farm. This business quickly expanded! 1988 – This is the year we added our meat processing shop. 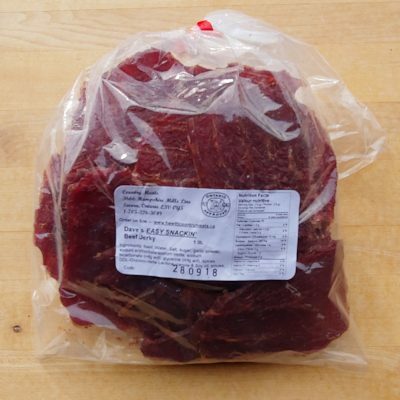 This shop helped keep up with the demand for locally produced meat products. Shortly after the processing shop opened, Dave felt the need for a unique and high-quality snack food. 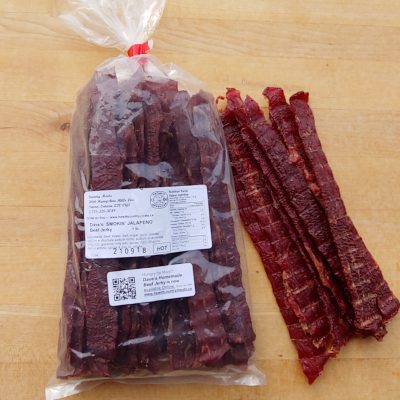 After months of testing other commercial recipes, Dave decided to formulate his own recipe and that was when Dave’s Homemade Beef Jerky was officially created.